Its official! More small and midsize customers are turning to Codestone to implement their SAP Business One and SAP Business ByDesign projects than any other SAP partner across North EMEA. 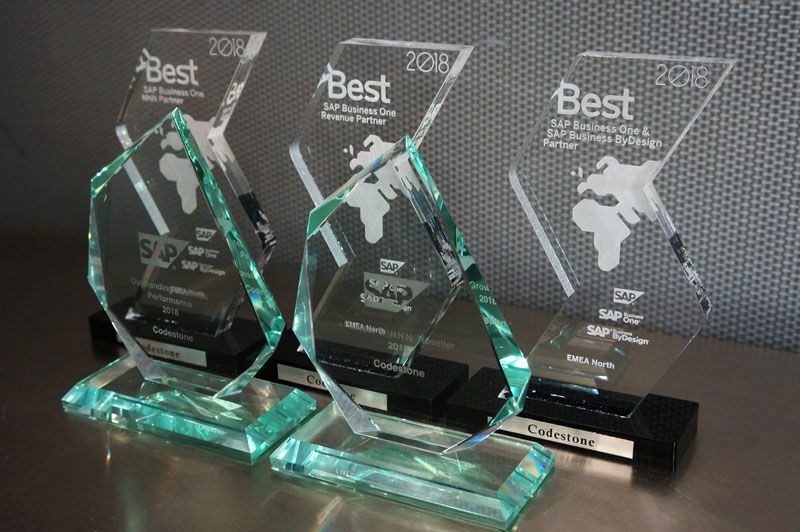 Codestone scooped no less than five industry awards, including SAP Business One Outstanding Business Performance Award 2018 (UK & Ireland), SAP Business One Net New Name Customer Award 2018 (UK & Ireland), Best SAP Business One Net New Customer Award 2018 (EMEA North), Best SAP Business One Revenue Award 2018 (EMEA North), Best SAP Business One & SAP Business ByDesign Partner Award 2018 (EMEA North). 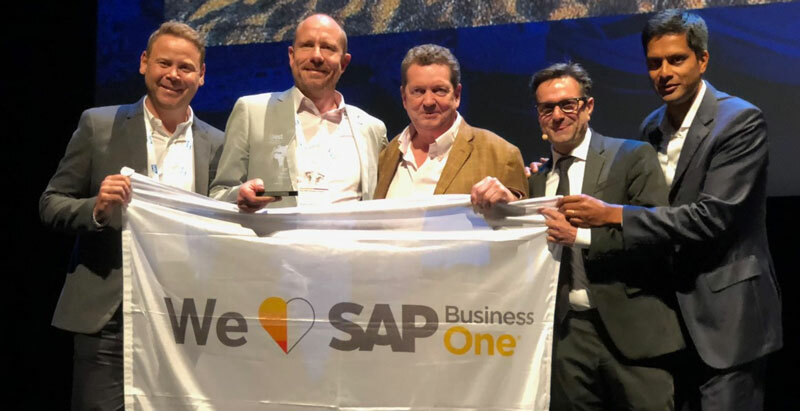 Fabrice Sala VP & Head of SAP Business One EMEA at SAP says, “SAP Business One and Business ByDesign are now firmly established as the leading ERP products in their class, and we are absolutely delighted to be recognising Codestone for its work in this area. They have been a valued partner for over 15 years and continue to combine innovation, expertise and hard work to delight their customers”. The Innovation Summit, held in Nice this year, is the annual event that energises the SAP Partner Ecosystem to execute small to midsize business growth and success. Codestone is proud to be an SAP Gold Partner, working with the best technologies available and being highly competent in delivering these solutions to its customers.